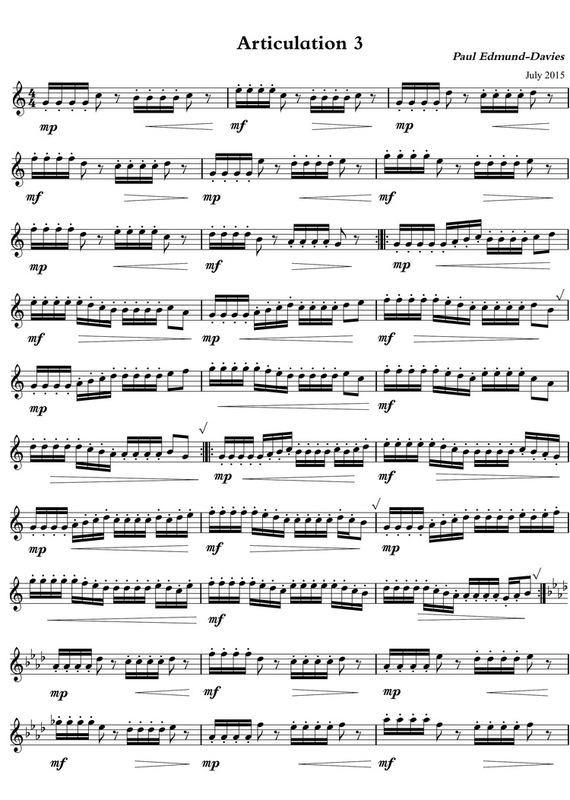 Ever struggle with double tonguing on the flute? In his video lesson titled "Articulation 3," Powell artist Paul Edmund-Davies discusses a different approach, beginning with a discussion of syllables. He suggests replacing the "tuh-kuh" syllables one might use as an articulation for double tonguing with the lighter syllables "doo-goo" or "duh-guh" which allow for more fluid motion of the tongue. 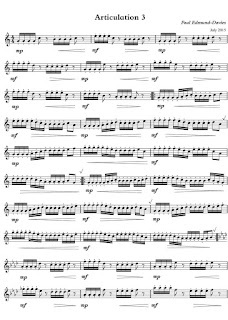 The lesson is in three parts which gradually extend in length of note groupings, beginning with groupings of 4 notes, then 12, and finally, 16. As with any exercise, Paul reminds us that the exercises must be played musically rather than statically. In the first section, he suggests thinking of each note moving to the next note and adds dynamics to help with this motion. As he demonstrates the concept, you can hear the wonderful, fluid direction and liveliness of the groupings. Finally, Paul comments that the number of articulations increase along with the number of notes in the groupings, and this should help in achieving fluidity when double-tonguing. The full lesson, compete with downloadable sheet music, is available by clicking this link to the lesson page on Paul's Simply Flute website. 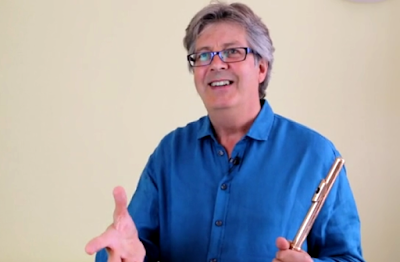 Click here to view the full lesson on Simply Flute.